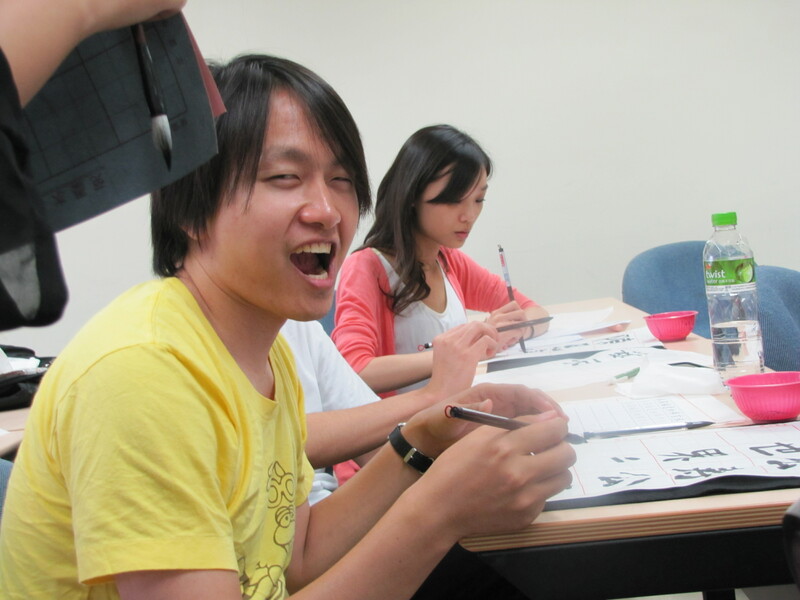 Our study abroad experience includes several extra cultural classes, one of them being a calligraphy class. I’ve done it before, and it’s pretty fun. 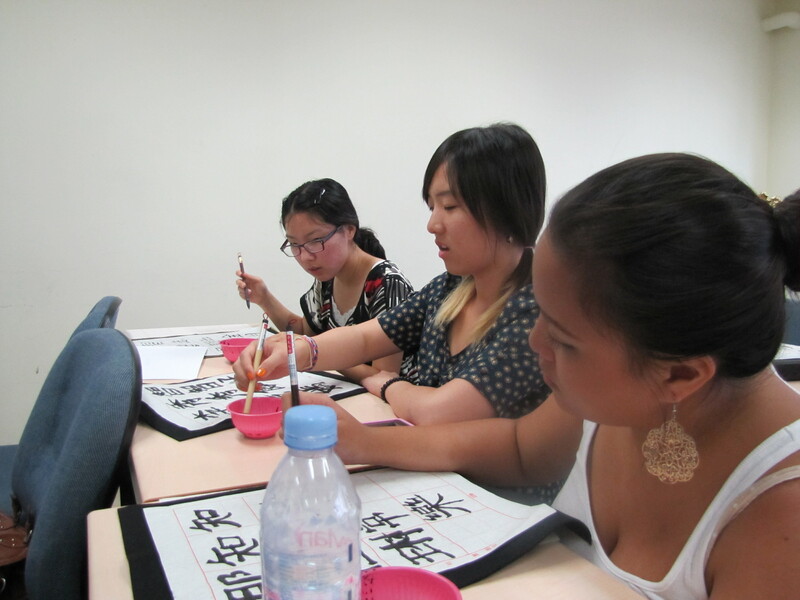 We were given the brushes and calligraphy paper and taught the correct way to make the strokes. My writing definitely needs work, haha. 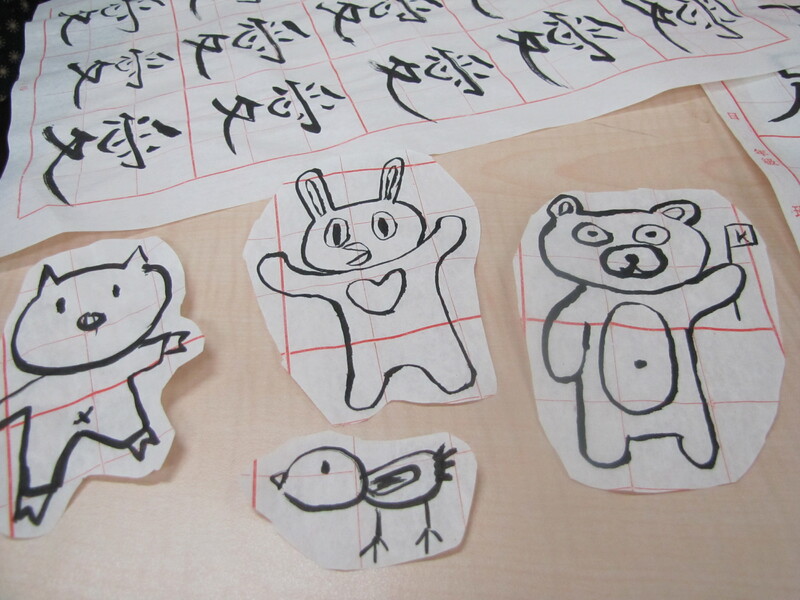 But one of our classmates, Tak (who is from Japan) had really beautiful writing. A lot of people asked him to write stuff for them. 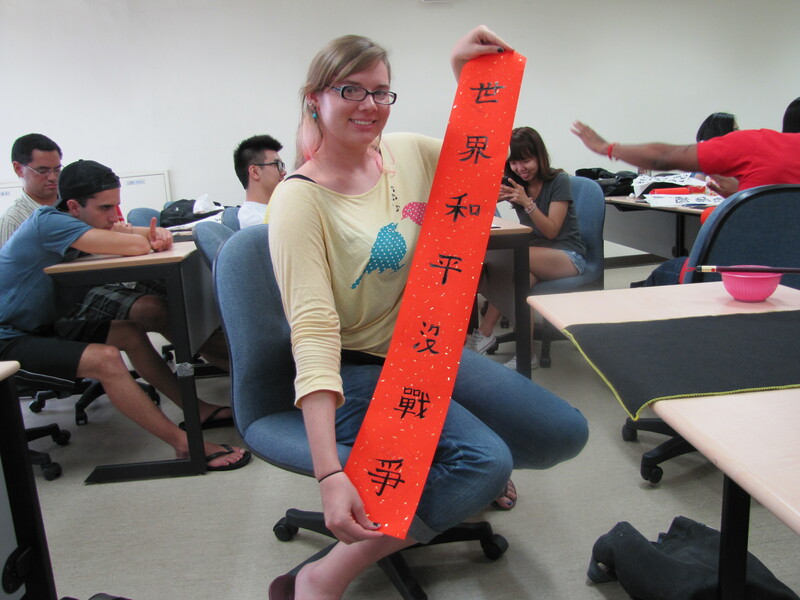 This entry was posted in Uncategorized and tagged Chinese Calligraphy. Bookmark the permalink.